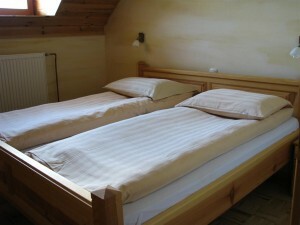 You can stay in double or three-bed rooms with a shower and toilet. 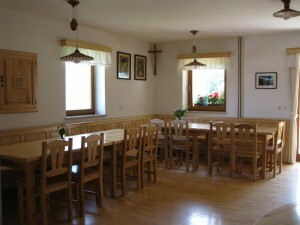 Four rooms have balconies, from where you can see a beautiful view of the Savinja Alps. Three rooms do not have balconies, but you can use the common balconies or stay outside for most of the time during the day. In the mansard, there are two spacious rooms, which can be used for morning exercise, playing, (choir) rehearsals, educational seminars, etc. Tourist fee per night is € 1.27. We are looking forward to your visit. Book your stay here.